ASPA's 2018 elections are underway and there are almost two weeks left to vote, providing you with plenty of time to submit your ballot and elect your District Representative and Student Representative (students only) of choice. You can find the slate of candidates on our website, as well as biographical information and candidate statements. Balloting will close on Monday, November 26. Submit your vote by the deadline and have a say in your National Council. 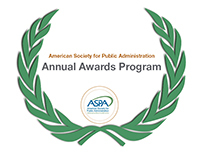 The ASPA Annual Awards Program deadline has been extended to Nov. 19, so you still have time to nominate a colleague as one of public administration's most dedicated public servants. All of our awards are listed online by name. And remember: ASPA membership is not always a requirement to be honored with an award. City managers, local government service providers, public health advocates, nonprofit executives, organizations and more are all eligible. All awards submissions are due by Nov. 19, 2018. Contact ASPA's manager of internal and strategic development, Garret Bonosky, with any questions or for more information. Over the last decade, the oil and gas industry has earned a lot of support from the United States' federal and state governments in the name of energy independence and economic prosperity. Behind the façade of many socio-economic and political benefits, the process of fracking causes serious environmental concerns. To what extent have communities close to fracking sites been adversely impacted by it? In this book, Sarmistha Majumdar studies four communities close to fracking well sites in Texas to illustrate to what extent fracking regulations have been developed in Texas. Designed to help mid-level and senior managers in organizations dedicated to public purposes, this book provides trained self-awareness to deploy values to guide decisions and build the culture of their organizations. The book explores how all managing involves leading and identifies the levels of ethical responsibility for managerial leaders. Highlighting the fundamental role ethics plays in organizational life, author J. Patrick Dobel uses insights from cognitive and social psychology to discuss how to anticipate and address threats to integrity and value informed decisionmaking. The book pays special attention to the challenges of integrating diverse people and perspectives in public organizations, as well as attending to the slippages to integrity in organizational life and how managers and leaders can foresee and address ethical slippage and corruption. ASPA member Craig Orgeron, CIO for the State of Mississippi, was profiled recently in Route Fifty for his partnership approach to IT. Looking at IT and his CIO role as a broker between state entities, with a focus on shortening procurement timelines, Orgeron is bringing innovation and change to Mississippi. Have member news you would like to share in Bridge? Send it to us for consideration! If you are reading the range of articles PA TIMES Online publishes twice a week, you know our authors provide you and the broader public administration community with new concepts, idea starters and valued commentary. Now is your chance to become one of them. Please visit our website to review our style guide and other details as you consider this opportunity. If you know you are interested, submit an application for review, including a sample column. First-time authors and students are welcome, and ASPA membership is not required, so please forward this announcement to your peers or graduate students for consideration. All applications must be submitted by December 15, 2018. Questions? Contact us for more information. Several organizations, including the IBM Center, the Partnership for Public Service and the National Civic League, have released important reports and research in the past few weeks. Find more information about these critical resources below. After 106 years of printing one of the nation's oldest and most respected journals of civic affairs, the most recent edition of the National Civic Review is now online and, by virtue of a new partnership between the National Civic League and ASPA, available at no charge to ASPA members. You should have received a copy of the most recent Review in your email at the end of October. Contact us if you need a copy. Make the most of your access to this journal and share the ideas of some of the nation's leading thinkers and doers on how to make our communities more inclusive, participatory, innovative and successful. This new report provides three sets of lessons from Katherine Barrett and Richard Greene, a pair of veteran observers of state and local government management, to help gubernatorial teams move quickly and set the stage for a successful term in office. With only six percent of full-time federal employees under the age of 30 and 45 percent aged 50 and above, government needs to focus on recruiting and hiring the next generation of talent. Yet agencies are not making it easy for these individuals to apply for open positions. Federal agencies still rely on decades-old legacy technology to bring new employees on board, citing data privacy, security concerns and reluctance to change current agency systems and processes as reasons for not upgrading. As long as agencies continue to accept the technology status quo, they will be hampered in their ability to attract the next generation of talent. In "Tech to Hire: Transforming Federal HR Beginning with Recruiting and Hiring," the Partnership worked with Salesforce to highlight how NASA and the Social Security Administration are using technology to improve how they recruit and hire talent. Their experiences can help other agencies recruit and hire smarter and faster. 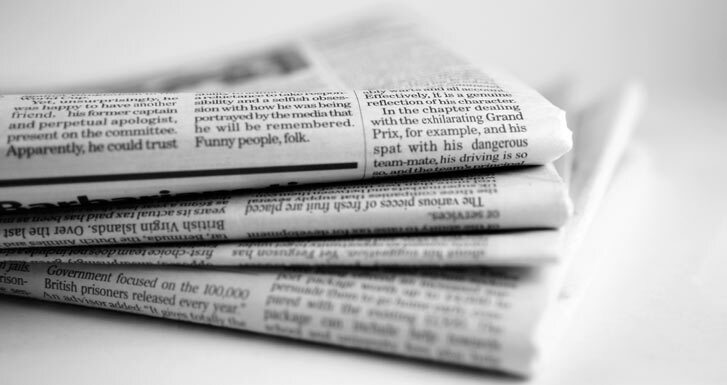 Today's headlines contain plenty of news coverage of some of our nation's most pressing public administration challenges. ASPA has curated some of the most important stories from the past few weeks. If you have not seen these yet, make sure you read them now! One More Time: Are Federal Employees Underpaid or Overpaid? The International City/County Management Association (ICMA) has selected its inaugural group of research fellows, recognizing outstanding action-oriented research approaches to deal with local governments' most pressing issues. This fellowship will fund four thought leaders to study topics ranging from equity measures for managing urban performance to developing successful innovation training programs for local officials, adding to ICMA's knowledge base of research and leading practices in local government leadership and management. Click here for more information. As part of the decennial review of its accreditation standards, NASPAA is engaging stakeholders around the globe to answer the question: How have our accreditation standards held up? We depend on the expertise of members from NASPAA partner organizations to ensure that public service degrees across the globe are responding to the needs of students and the field. Please fill out the survey here by November 15. Respondents can enter for a chance to win a $150 Amazon gift card. Susan Gooden, interim dean of the Wilder School at Virginia Commonwealth University, has issued a call for proposals for a new book she is compiling: Nervous Areas of Governments: Addressing Iniquities Around the World. Governments around the world face the challenge of espousing principles of fairness but practicing inequity in their administration. Nervousness is an emotional and physical reaction that can interfere with one's ability to perform critical tasks. Both individuals and organizations can experience nervousness. In government, it becomes harmful when it debilitates actions that are needed to promote social equity and justice. Each of the chapters in this edited volume focuses on a single country and examines a specific nervous area of government. Together, this volume expands our understanding of nervousness in the administration of government services around the world, important historical and political considerations and specific evidence of promising progress. It considers the complexity of nervous areas of governments around the world, while identifying encouraging approaches and initiatives. All proposals are due Dec. 15, 2018. Click here for more information. Students in graduate programs are invited to submit their papers on any environmental topic for consideration in ASPA's Section on Environmental and Natural Resources Administration (SENRA) annual student paper competition. Faculty members can also nominate student paper(s) for submission. Conference papers, term papers, journal manuscripts are eligible for submission; literature reviews and review essays are ineligible. Please note: Only one submission per student will be allowed and the paper should be written entirely by the student and not coauthored with any faculty member. The best paper will be awarded a prize of $200 and the author will receive a certificate of recognition from SENRA at ASPA's 2019 Annual Conference. All papers must be received by Dec. 31, 2018. Click here for more information. The 2019 Conference of Minority Public Administrators' (COMPA) Annual Conference will take place March 5-7, 2019 in Baltimore. The conference theme, "A Call for Action: The Public Administration Seat at the Decision Making Table" is based on the idea of promoting and highlighting the need to have the voice of public administrators as part of the decision- and policymaking process. One of the goals of the 2019 conference is to demonstrate and reiterate the importance of the skill set, experience, knowledge and perspective of public administrators. Another goal is to create pathways for the next generation of our leadership to have a seat at the decision making table, take action and continue blazing trails of success. Tracks and submission information are available online. All proposals are due Jan. 7, 2019. Click here for more information. Sponsored by the Trachtenberg School of Public Policy and Public Administration at the George Washington University, the 70th annual Arthur S. Flemming Awards are now accepting nominations, through Friday, February 1, 2019. The purpose of the Arthur S. Flemming Award is fourfold: to recognize outstanding and meritorious achievement in working for the federal government; to encourage the highest standards of performance in the federal service; to enhance appreciation of our form of government and the opportunities and responsibilities that it presents; and to attract outstanding individuals to a career in federal service. Eligibility is restricted to individuals currently engaged in federal government service and who have served 3-15 years. Only years directly on the federal payroll are considered service. Click here for more information. To further stimulate the creation of effective and innovative teaching cases and simulations, the Program for the Advancement of Research on Conflict and Collaboration (PARCC) at the Syracuse University Maxwell School is sponsoring its 12th annual competition of E-PARCC. E-PARCC is a project of the "Collaborative Governance Initiative" launched in 2007. It provides free online resources for those who teach collaborative public management, networks and public management, collaborative governance, international development and collaborative problem solving around the world. More than 3,000 visitors per month from 40 different countries take advantage of E-PARCC teaching materials. There are two competitions this year and all entries are due by March 15, 2019. Click here for more information. Vol 78:6 is out and available online. 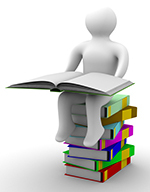 The following are new articles on Early View. Homeless youth is not a new phenomenon, but the importance of homeless LGBT youth has been woefully overlooked within public administration. The rise in numbers of homeless LGBT youth is growing nationally and the results are most often devastating. It is with a sense of urgency that this symposium addresses the key concerns, consequences and methods of prevention and effective response. LGBT Youth Homelessness: What are You Going to Do About it? What are States' Obligations to Monitor the Use of Tax Increment Financing? 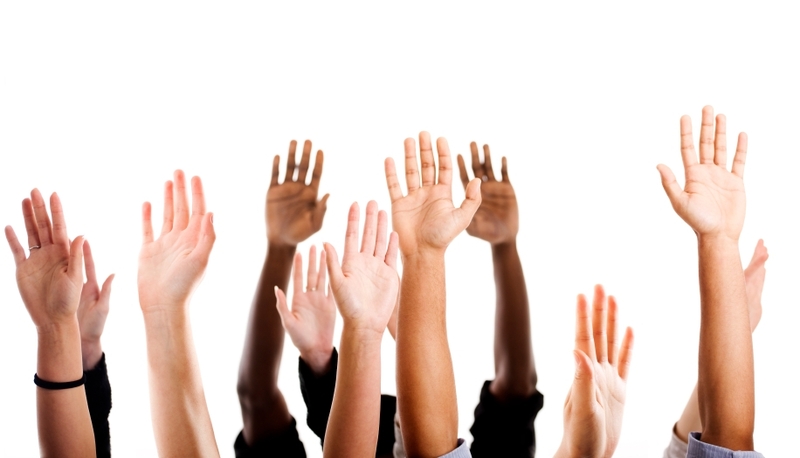 Unqualified for the Job or "Diversity Shaming"?